Downtown? Fancy some Mexican food? Tired of Tex-Mex. 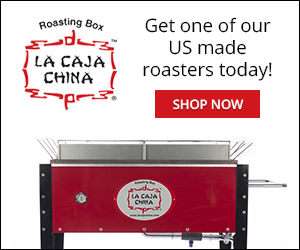 Maybe something informed by a chef who has traveled extensively through Mexico? Look no further than Wild Salsa on Main Street at St. Paul which is turning out some of the most innovative Mexican-inspired food in the city. Consulting chef Kelly Hightower traveled through the interior of Mexico many times, off the tourist trail, from Chiapas to Sonora. He, and corporate chef A.J. Joglekar, have parsed what they know into a selection of dishes that is appealing to Dallasites but often different from what is available elsewhere in town. 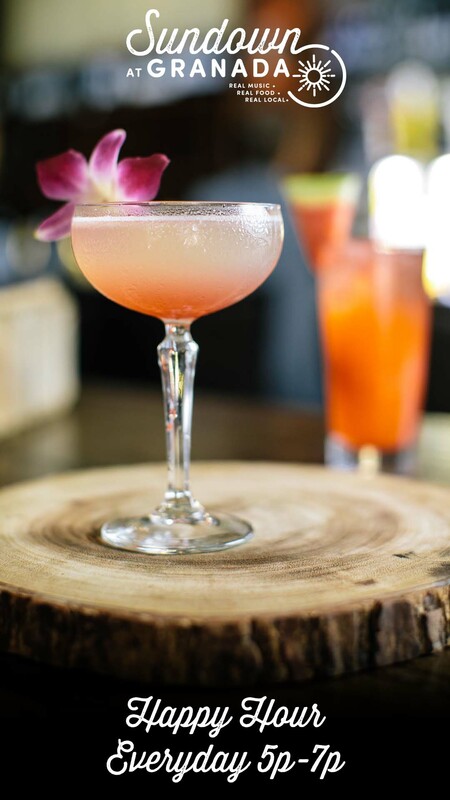 Rather than representing the cuisine of a region, as exemplified by restaurants like Mesa, this is a magpie-like pilfering of favorites from all over. That said, Hightower and Joglekar aren’t in the freaking-you-out business. 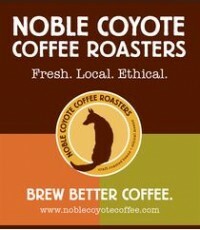 The ingredients are mainstream (no insects or fungus! ), just assembled and prepared in interesting ways. Also, this crew is the same one behind Chop House Burger, which I reported on here, and there is the same emphasis on named local suppliers. 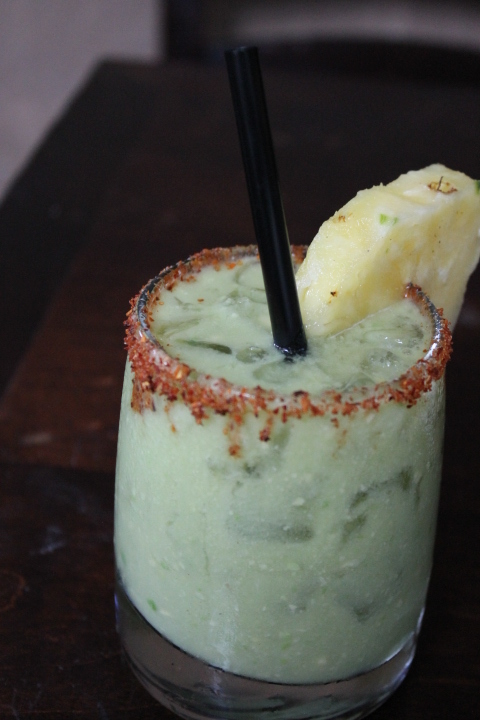 Among high-end Mexican restaurants they appear to be alone, except for Komali, in doing this. At a recent media event they took us through some of their menu favorites. To illustrate the accommodation to Dallas tastes, the first thing that you are offered once seated is the salsa and chips combo that is typically found in Tex-Mex (rather than pure Mexican) restaurants. To the Wild Salsa crew, the idea of salsa and chips idea was sound, so they kept it. 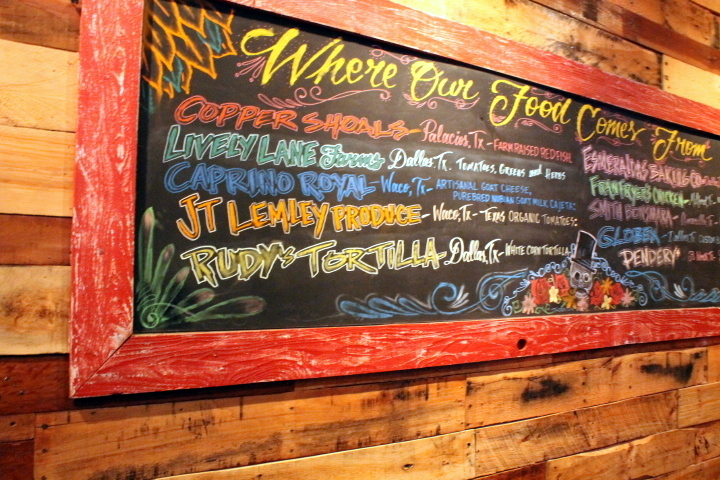 Customers would see from the menu that this was not a run-of-the-mill Tex-Mex experience. On that point, it helps that the chips are locally made (Rudy’s) and the housemade salsa is prepared from tomatillo chilies and avocado. You can step up the salsa experience too. Like some other high-end Mexican restaurants (e.g. Urban Taco) Wild Salsa offers a selection of salsas (aka a salsa boat) for the chips, or to plonk down on all the other courses of your meal ($5). Grilled Poblano Pico is the fruity one. Poblano Pecan Pesto, a spicy, earthy medium-temperature preparation, and Wild Salsa (habanero, Texas Noonday onion, garlic) the fire-starter. If you down too much of the latter, be aware that there is an extensive medicine cabinet of over 60 tequilas nearby from which I would prescribe (I am actually not an MD, but I know someone who is) the avocado margarita. Puréed avocado gives the drink body weight and tackiness that has a capacity to neutralize capsicum. Note that the rim of the glass is encrusted, not in plain table salt, but that visually and palate satisfying chili lime salt (a blend of Mexican chilies, salt and lime). It is a traditional seasoning blend that is also used on fresh fruit in Mexico. You may have also come across it at other forward thinking Mexican establishments like Komali and Mesa. I recommend that you order, concurrently with the salsa boat, one of more of the three guacamole offerings . Although these are pictured here in a boat, they are actually sold separately. There is the traditional ($8). The Sesame Pepita ($8), which is traditional guacamole embellished with toasted sesame seeds and roasted pumpkin seeds. It is so simple a preparation that I could make it (it is that simple!) but nonetheless not commonly found. All those nuts make for contrast with the smoothness of guacamole (it reminded me, for some reason, of how guitar interludes broke up those monotonous late-60s drum solos). This is a “gotta’ go back for that” kind of dish. 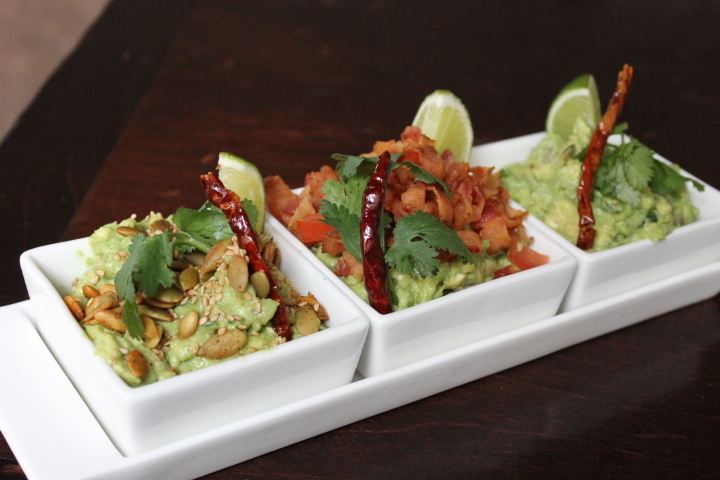 Even deeper into the controlled substance category is guacamole with crisp-fried bacon (and applewood-smoked bacon at that). Disingenuously named Wild Salsa Guacamole ($10), it also comes with tomato (from the Dallas Farmer’s Market which just down the street). This is a candidate for Guac of 2014 but do respect the dried red chilies that Wild Salsa leaves poked into the artichoke firmament (and which you see clearly in the picture). 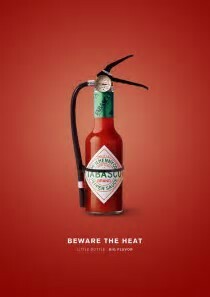 They are Scovilleptically hot (even though chef Joglekar suggests you crumble them on top of your Guacamole – great sense of humor, he). Among the Antojitos, shrimp taquitos with chipotle crema had a sauce that was the the perfect foil to the flaky brittle crispness of taquito. I was like a kid poking the taquitos into the cream, endeavoring to scrape it up. One tip to management: more cream. Maybe in a ramekin on the side. On to Mexico City, and a dish fitting of that sprawling culinary lab. 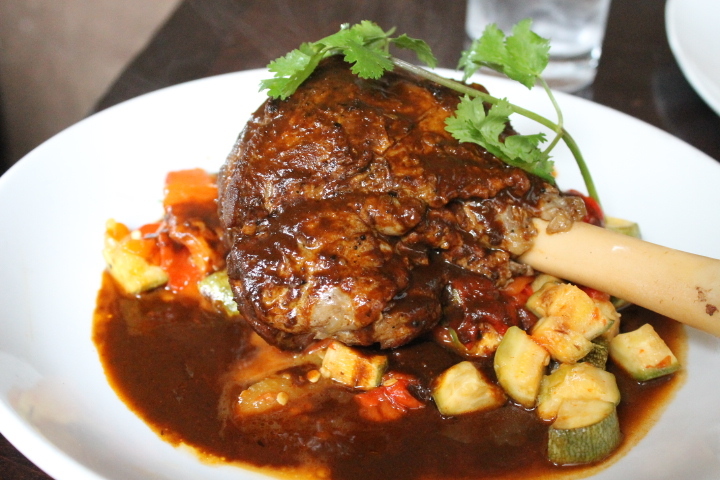 Lamb Shank Barbacoa is a humungous slow-roasted lamb shank with house made salsa borracha, roasted vegetables and black bean stew. By this stage of the meal, it looks to me like this will feed 50 people comfortably. However, the sinews tumble off the bone like clothes off a mannequin. Roll them in the liquid, lamb jus fortified with salsa borracha, and the taste is other-worldly. Put this down as a candidate for Best Lamb Main Dish of 2014. North to Sonora, that southern extension of Arizona. 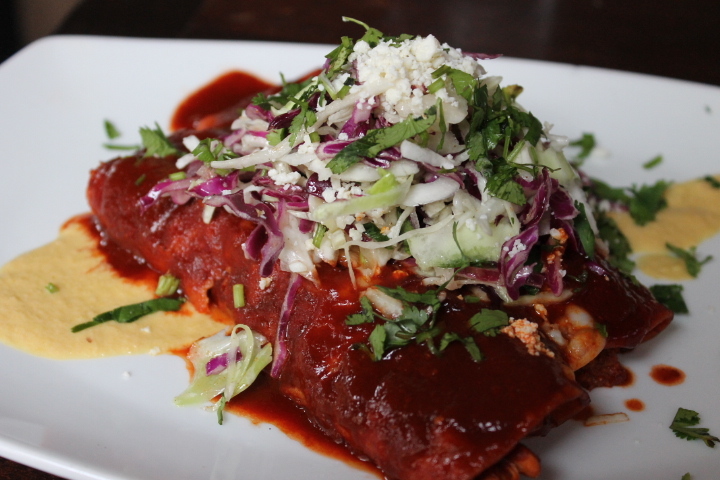 The Sonoran Enchiladas ($12) are chili-rubbed tortillas stuffed with chicken tinga, elote cream, crisp cabbage and agave vinaigrette. Forget what you know about Tex-Mex enchiladas, these tortillas are draped in what Hightower describes as a “Sonoran style red-chili sauce made from dried guajillo chilies without anything else (e.g. tomatoes) to impart color”. The sweet chicken filling embalms itself with the sauce. When there are examples like this that show how exalted the lowly corn wrapper can become it is tough to comprehend why so many places turn out enchiladas devoid of inspiration . 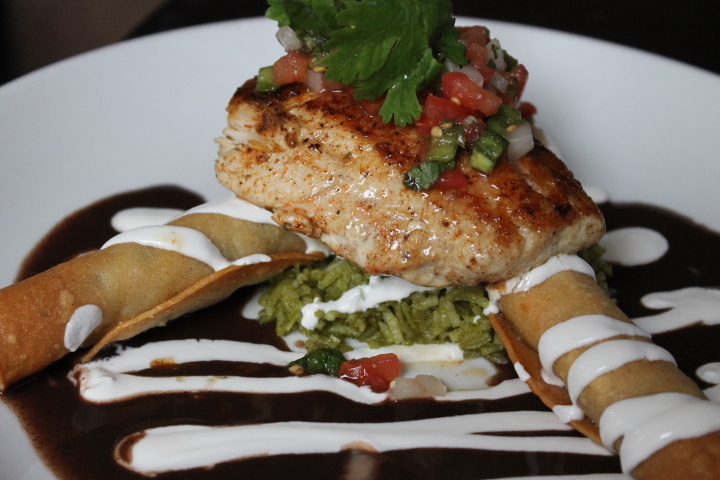 Gulf Redfish a la Plancha ($16) is spice rubbed fish served with a black bean sauce, pepper jack shrimp taquito and cilantro rice. The method for the black bean sauce is counter intuitive: it is not the purée of black beans that you might expect. Rather, beans are reduced and scented with cumin and a spot of balsamic vinegar. So this is a concentration of black bean, rather than a mixture, which steps up its punch in the dish. 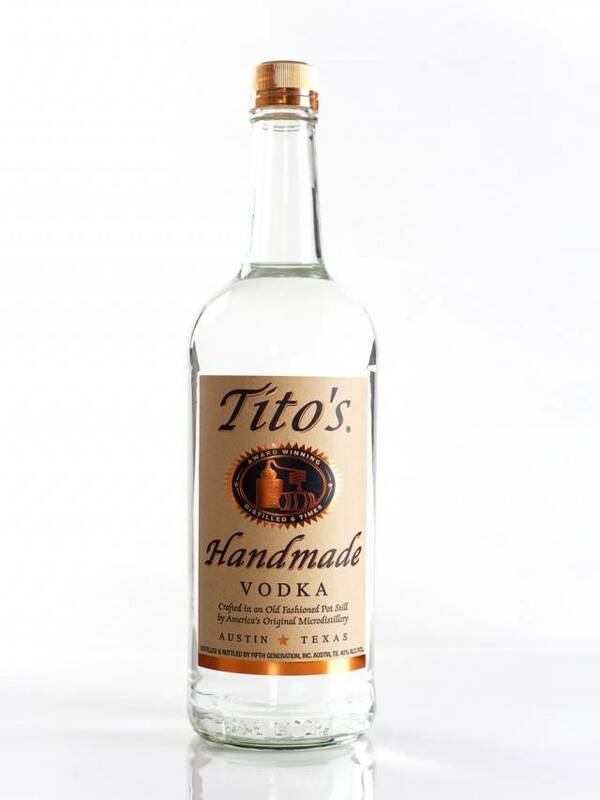 It is a resolute accompaniment to the redfish. Consider the cilantro rice is an example of how Wild Salsa judges every major ingredient in a dish before going live with the recipe. Many houses would be content with plain white rice, but that will not do here. Cilantro flavoring is added. To illustrate further, another dish (Shrimp Veracruzana, which we did not try) has tomato rice. Go to Wild Salsa. Order a dish. Is there anything on the plate that is just an unconsidered filler? I found virtually none. This is generally very disciplined recipe composition. A possible exception. I am not sure the shrimp taquitos are congruous with the redfish. I would serve the rest of the dish without them, it offers all of the components for a satisfying experience. 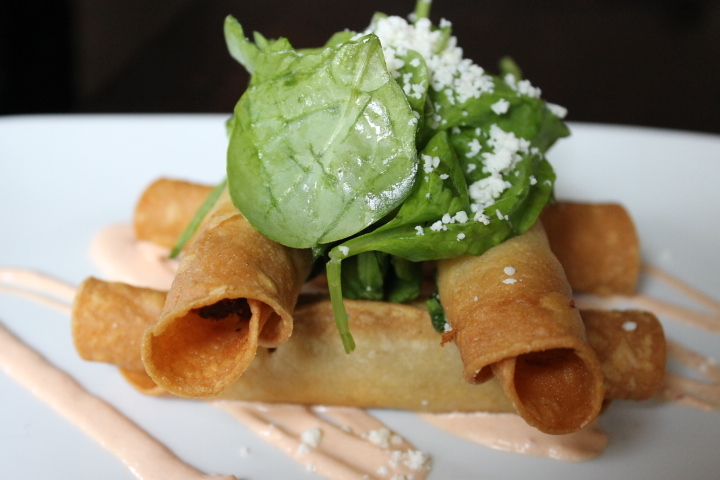 The place of taquitos may be as an antojito, perhaps stacked horizontally like the spikes of a bicycle wheel around a pot of the crema Americana. We dodged around the menu a bit here, going with a selection of tacos drawn eclectically from all over Mexico. There was the classic al pastor ($2.50). An embellishment on the ubiquitous chicken taco was chicken tinga ($2.50). A little rarer (neighborhood Mexican taquerias excluded) was lengua ($2.50) and beef barbacoa ($3). Chipotle shrimp ($3) offered up crisp battered shrimp in piquant chipotle sauce. 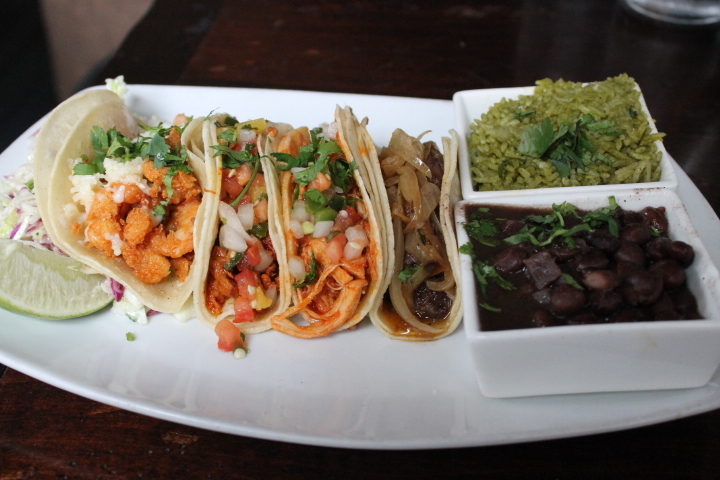 Each taco is served in the traditional 5” corn tortilla and stuffed to the gills. They are also seasoned in the kitchen, rather than the fairly common practice of leaving that part of the preparation to the customer. The juicy lengua (beef tongue) was my favorite, but all of these tacos stand comparison for flavor, and price, with anywhere else in town. Desserts follow the Mexican playbook of being very sweet and very rich. 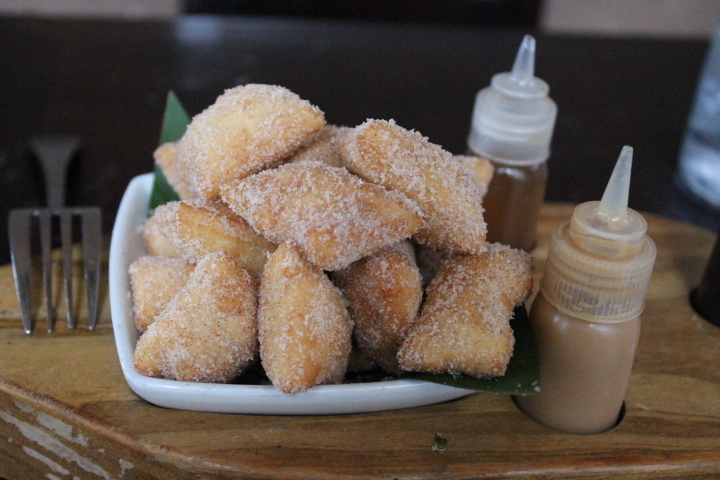 Sopapillas are notable for coming with their own ‘injectors’ for honey, and crema (you could pass your ‘Botox Administer Technician’ certificate here). 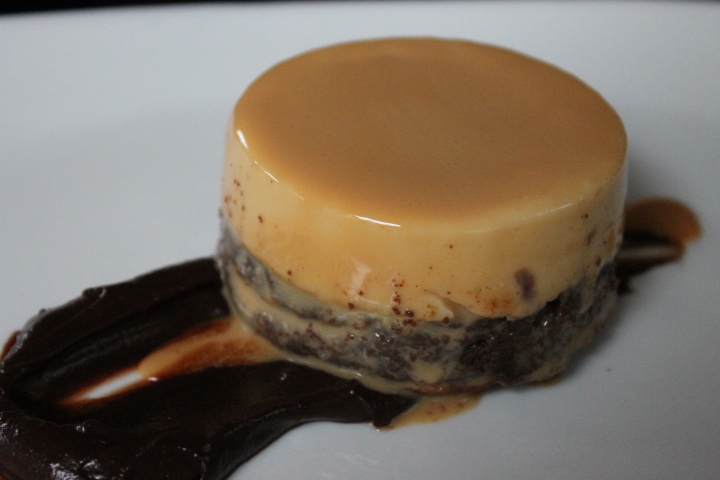 Another dessert was a variation on creme brulée, which involved a disk of chocolate cake topped with a disk of the custard. Surprisingly, these ingredients start out the other way up before they are cooked in the oven and work their way this way around. Tequila dominates the Wild Salsa bar and drinks list. There are over 61 available with single shots running from $7 to $45. 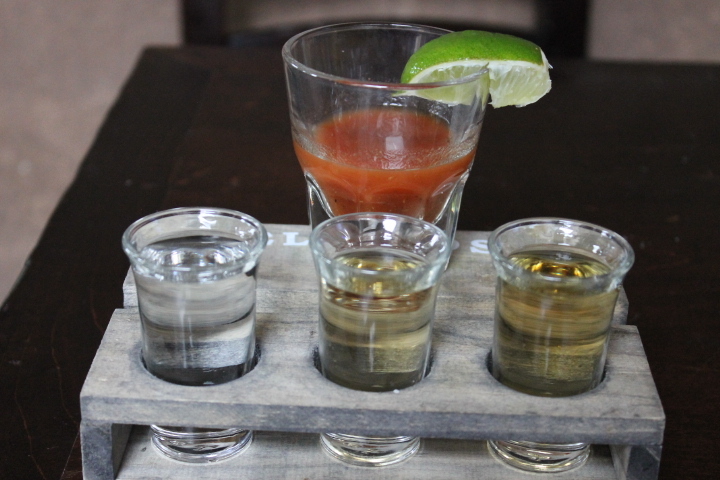 Just for grins, try the Wild Flight, a flight of three tequilas ($30). It consists of three super añejos (2.5+ years) served in tastings vessels with a sangrita shooter to cleanse the palate between tastes. Beerophiles will find all the usual suspects among Mexican beers (some on draft) and Deep Ellum Brewing Co. representing local brewing. The thin wine list is comprised of only five whites and reds. Whites notably include Martin Codax Albarino and Cona Sur Chardonnay. Wild Salsa fills up with lunch crowds and office groups gathering after work. Noise levels are medium-high. You might describe the atmosphere as ‘lively’. Right next door is main street park where big screens currently show World Cup matches. Over the street from the park, and also directly above the restaurant, sit large apartment/condominium developments that are filling up every week and bringing in more regulars. Komali, Mesomaya, Nazca, and even Mesa, since it backed away from exclusively Veracruz cuisine, watch out. 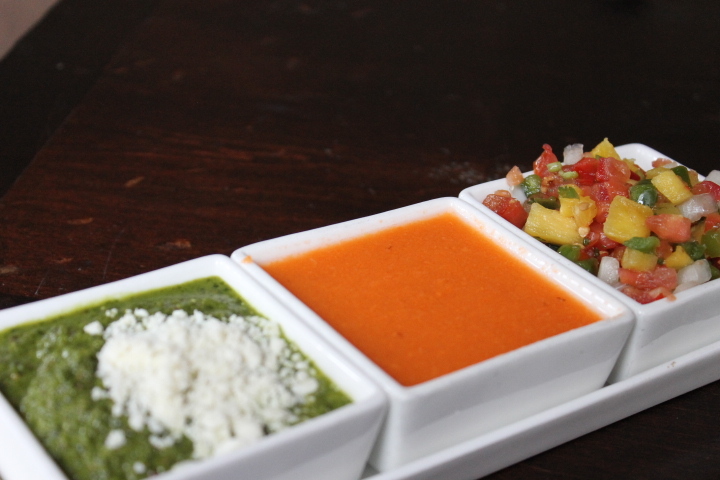 Wild Salsa is setting high standards downtown. Correction: Kelly Hightower’s title is co-founding chef of Wild Salsa. He was incorrectly described as consulting chef at Wild Salsa. We are trying to get a correction in the post. I like this place but the writer is a putzy English loudmouth. Let’s stick with Mr Doyle, he knows food better than anyone in Dallas.